Lancer Miniatures have just started to produce a 10mm SYW range. Currently on offer are Prussian musketeers, which can be bought in groups of four figures, or a regimental pack of 30+ figures. Interestingly this pack has two standard bearers so that the much loved two flag unit can be produced without the need to convert figures (as has to be done with the Old Glory range). There are also Prussian cuirassiers currently available. Sounds good. I'm just wondering what scale to choose for this period. 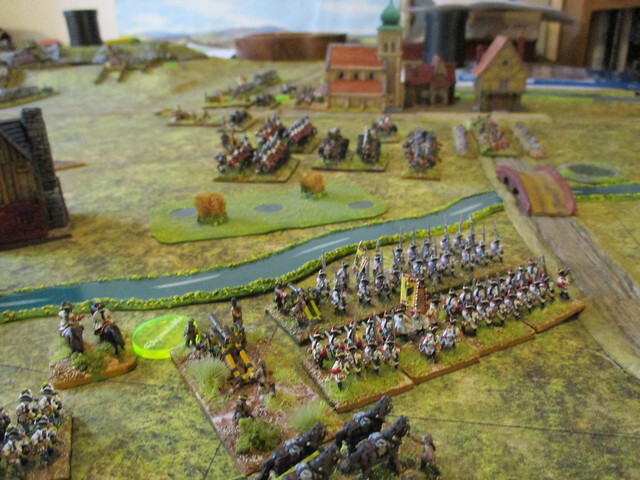 I recently downsized my WW2 collection from 10mm to 6mm, but think 6mm may be too small for the Seven Years War, so perhaps 10mm is the way to go. I've a couple of Baccus SYW armies (Austrian and Prussian) and I think they work fine - I like the look of 6mm figures more than the larger scales as it gives the table the look of an actual battle rather than a tiny skirmish but I guess it's down to personal preference. TBH the 10mm figures do a pretty good job of giving an impression of a large battle on a relatively small table area. Cheers John. That’s when we played the rule book’s Lobositz scenario.